Opinion is split over a decision by the International Earth Rotation Service to add another leap second this summer. Although technology regularly demands more precise time measurements, these adjustments may adversely affect computer networks. Some of the internet’s major resources – like Reddit, Linkedin, Foursquare, and others – are raising the alarm that their services might experience crippling problems, as they did in 2012, the last time a leap second was added. Officials at the international body have announced that we need to sync up to the Earth’s rotation again or, more precisely, sync our atomic clocks to it. The devices are the best thing we have to measure time; they are capable of perceiving changes at quadrillionths of a second. However, the way the Earth rotates on its axis is also changing and adjustments need to be made across the board: the idea that one spin equals one day is shifting – the passage is slowing down by two millionths of a second every day. Atomic clocks and the Earth’s shifting spin time must also be reconciled regularly. Without that realignment, we are irretrievably losing two thousandth of a second each day. We have been making these slight alterations since 1975, 25 times so far. However, the practice of adding leap seconds was hardly of interest to anyone before computers came around. However, the upcoming June 30 change, to take place at 23:59:59, is sparking fears that many computer systems might get confused when they register a sixtieth second, instead of rolling over to a new hour after 59. Other computers have a tendency to show the fifty-ninth second twice. Both cases are prone to cause problems – power outages are especially feared. One clever way of eschewing this was invented by Google, who calls its solution “the smear-around.” Its computers, over large periods of time, accumulate miniscule delays in standard systems updates, until the next changeover takes place. That way their systems never know a leap second has been added and carry on functioning normally. One solution increasingly proposed today is to completely depart from leap seconds altogether. Calls for revising the Universal Coordinated Time (UTC) have been heard in many international organizations. The issue has been hotly contested at the International Communication Union (ITU), which is responsible for defining the UTC. 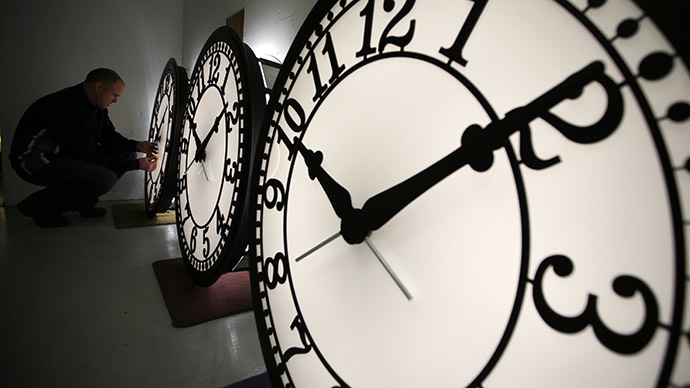 Some countries want to end leap seconds, while others believe there’s no need. Yet others believe we should do leap minutes – but this is usually met with skepticism. An upcoming conference on the matter, the World Radiocommunication Conference in 2015, will set the record straight, basing its decision on ITU findings.